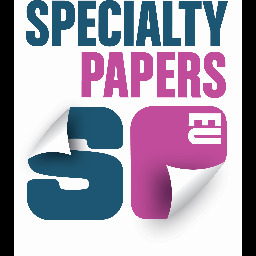 Bringing you updates on the latest advancements and trends in the specialty papers market, alongside unrivalled netwoking opportunities, Specialty Papers Europe 2017 is a must attend event for all levels of the supply chain. Bio: Mrs. Andrea Glawe graduated in 1992 with the Master degree for “Technical textiles and process technology” at the Technical University of Chemnitz. She started her career as scientific assistant and project leader for the Textile Research Institute Plauen GmbH between 1992 and 1993 and for the Textile Research Institute Thüringen-Vogtland e.V. Greiz between 1993 and 2001. From 2001 to 2011 she worked as Deputy sales director with responsibility for technical sales and project management at Coatema Coating Machinery GmbH in Dormagen. Between 2011 and 2012 she took her responsibility as R&D leader DRYTEC GmbH & Co KG in Norderstedt. Between February 2012 and September 2015 Andrea Glawe worked as Director R&D for all R&D activities of the KROENERT group in Hamburg and was also responsible for Business Development. Since October 2015 she is responsible as Regional Sales Director for the Asian / Pacific market at KROENERT. Bio: Anna holds a PhD in surface treatment of paper from Karlstad University in 2006. She started her career as product development engineer at Nordic Paper. In 2010, she joined Billerud as a process engineer working with process efficiency and cost savings. In 2011 she took the position as Manager Process Technology, leading the process technology team at Gruvön and having responsibility for short term product development. She has been highly involved in the development work of FibreForm, the stretchable paper that challenge plastics. In 2014 she accepted the position as R&D Director for BillerudKorsnäs to lead and developing the R&D organization. The R&D department is responsible for product development, external and internal research and is expanding their efforts in product and material development. Bio: Fikri is the head of Surface Modification Technologies business unit at Daikin Chemical Europe. The department is responsible for the sales and marketing of barrier chemicals based on fluorocarbon (Unidyne) for paper and pulp industry in EMEA region. His responsibility extends to sales of finishing chemicals for textile industry, fluorinated coating binders for construction, grease and oils and special fluorosilane based antifinger print coatings. Prior to joining Daikin he worked in the polyurethane division of BASF. Fikri holds a PhD in chemistry for his work in Max Planck Institute for Polymer Research, Germany. Bio: Jan Wölfle completed his apprenticeship in precision mechanics.He obtain his Bachelor Degree in Dipl.-Ing. (FH) Product Engineering from the University Furtwangen in Germany. He also holds a Master Degree from the Colorado State University (CSU)/USA, M.B.A. He holds several senior position in IT and Print Industry, thereof 20 years in digital industrial graphics business segments. 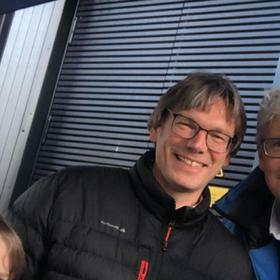 Senior Scientist, VTT Technical Research Centre of Finland Ltd.
Bio: Jari Vartiainen, Senior Scientist at VTT Technical Research Centre of Finland Ltd. 20 years’ experience in packaging and plastic processing R&D and quality assurance. Specialized in high barrier packaging, functional and antimicrobial materials, surface treatments, bio-based and edible coatings and films, high performance fibre products and atmospheric plasma treatment. >120 scientific publications including the manuscripts, conference papers and patents. Bio: Working in the paper and board industry since 1990, John has excellent long-standing expertise focusing on sales strategy, product and business development as well as restructuring. As Sales Director of Zanders, he is currently responsible for the sales and marketing team at Gohrsmühle paper mill situated in Bergisch Gladbach close to Cologne. Bio: Klaus Afflerbach is working for Voith Paper in the wet lay business since 1991. He receives his doctor degree in chemical engineering in 1991 at RWTH Aachen. Bio: Mark Crable is a color expert with 31years of experience in the field. He's worked for a number of companies dealing with all aspects of the coloration of paper and board. 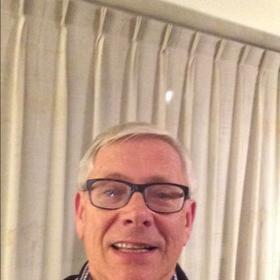 Starting in 1985, he joined AccuRay (now ABB), and was asked to join the integration team for AccuRay's new color measurement and color control system. With training from GretagMacbeth (now X-Rite) and Ciba (now BASF) plus direct work with the control and software engineers developing the standard color system, he began installing, tuning, and training operators on AccuRay color control. This work also included advising paper manufacturers on the design of "color kitchens" for the storage and delivery of dyes to the paper machines. Following an 8-year career with AccuRay/ABB, Mark worked for the International Paper mill in Mobile, Alabama for 3 years prior to taking a position in Color Technology directly with International Paper. After 2 years on the team, Mark became the Program Manager - Color and Appearance for International Paper when the group relocated to Loveland, Ohio. He led efforts at four International Paper mills to manufacture colored papers on machines which had previously run only white papers. Mark was also a key player in the 2005 move by IP to launch brighter and whiter papers in the North American market. He introduced the concept of CIE whiteness to this market. Mr. Crable was intimately involved in the implementation of ColorLok® technology at IP mills in the U.S. and Brazil. After 12 years with International Paper, Mark worked directly for the dye company, Greenville Colorants where he supported sales of dyes, tinting pigments, and optical brightening agents (OBA) to multiple paper companies. In 2011, he established Crable Engineering LLC, a process solutions and color expertise company with multiple industry partners. He maintains relationships with manufacturers of color measurement & control systems, dye pump and dye delivery systems, and multiple dyestuff companies. He is presently Chair of TAPPI’s Optical Properties committee. Career highlights: Mr. Crable has worked with paper clients on color projects across the U.S. and Canada, plus Scotland, France, Poland, Russia, Brazil, and Australia. He is experienced with dye and OBA selection for manufacturing all types of paper & paperboard, dye delivery systems, on-line, closed-loop color control, optical properties (including color) theory and practices. Mark has worked with over 20 different paper companies and numerous paper mills throughout the world. He continues to learn and enjoys sharing color and appearance experience. Bio: VP Business Development, Europe at Fisher International Marko Summanen is a paper industry professional with over 20 years of experience across strategic, tactical, engineering, and sales functions as well as a worldwide scope that includes work in China, Southeast Asia, the US, Canada, and several European countries. 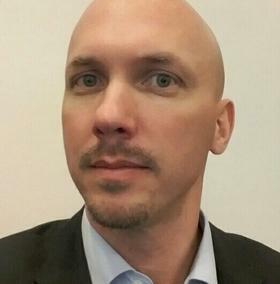 Prior to joining Fisher International, he held various sales and key account management positions at Valmet, running projects that included starting up 10 new paper machines in Europe, NA and Asia - among them, UPM Tervasaari PM8, making specialty papers. As Director of Service and Mill Improvements, his team focused on paper mill efficiency improvements and cost savings. He was also responsible for developing the new services business model. Throughout his career, Mr. Summanen has championed the transformative power of data-driven management. At Fisher, his solutions-focused approach helps clients improve performance and expand their position in the marketplace using data, analytics, and leveraged consulting. Bio: Martti Toivakka is currently a full professor and head of the Laboratory of Paper Coating and Converting at Åbo Akademi University, Finland (www.abo.fi/lpcc). He received his doctoral degree in chemical engineering in the area of paper chemistry in 1998. His research group is a member of the Academy of Finland appointed Center of Excellence for Functional Materials, which develops functional materials and demonstrates devices for printed intelligence. In recent years, his research interests have expanded from pigment coating to include novel coating and surface treatment methods for natural fiber-based products, printing as a fabrication method and use of paper as a substrate for printed electronics. He has (co-)authored over 150 peer-reviewed scientific publications and was the recipient of 2016 TAPPI Coating and Graphic Arts Division Technical Award and the Charles W. Engelhard Prize. He has organized and been the chairman of 2006 TAPPI Advanced Coating Fundamentals Symposium and the 2011 European Coating Symposium, both held in Turku, Finland. Bio: She is Tech. Lis from Helsinki University of Technology. Her longest career has been in UPM-Kymmene where she worked 12 years and the last years as a Research Director. Bio: He joined CTP in 2007. He has an engineering degree in papermaking and, and a PhD in Material Science and Process engineering. Since 2011, he is working as a Project manager in the “Functional Surfaces & Products Team”. He has coordinated and participated in several industrial projects, developing products from lab to industrial scale. He is mainly in charge of the development of innovative treatments for papers and boards with a focus on the development of chromatogeny (European projects: Boosteff, Mars-EV, GreeNanofilms and CTP’s general research program: Waregraft 2013-2016). He is also co-inventor of 3 patents related to chromatogeny. Bio: Currently, Sanne is the coordinator of the End Products program at Bumaga, involved as project manager or work package leader in various European projects, and Chairs ActInPak (COST Action FP1405) focussing towards market introduction of active and intelligent fibre-based packaging. Ms. Sanne Tiekstra, MSc. obtained her MSc. Degree Industrial Design Engineering on Management of Product and Packaging Development from the University of Twente, The Netherlands, in February 2010. To obtain her degree, she did an internship at a metal packaging company to implement consumer and customer needs in packaging development. After graduation, she started working at Bumaga BV in 2010 where she focused on the project Smart and Slim Supply Chains. Since then she became actively involved in projects dealing with paper and board packaging supply chain, new applications of paper and board and related projects and initiatives. She is involved in (inter)national projects concerning new applications for paper and board, material characteristics, novel combinations of bio-based materials, new applications of paper and board, printed intelligence, and smart packaging. Currently, she is Program Leader of the End Products team and as such involved in creating new projects, roadmaps and vision to sustain Dutch paper and board industry. According to Sanne, the (Dutch) paper and board industry can achieve much more in amongst others the packaging sector. Cooperation with different chain partners and sectors, but also the link between industry and science offer many opportunities. With imagination, integration, and lots of enthusiasm, her aim is to innovate and create new opportunities and applications within the paper and cardboard industry. Senior Scientist, Imerys Minerals Ltd.
Bio: Tony is a senior scientist in the Kaolin group at the Par Moor Research Centre of Imerys. After receiving his degree and PhD in chemistry from the University College of Wales, Aberystwyth, he joined English China Clays. For the last 30 years, he has mainly worked on how the physical and chemical characteristics of minerals can affect both the production and the final properties of paper and board. 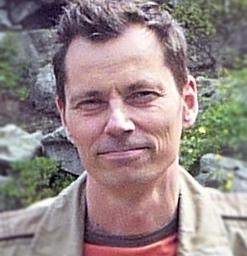 Bio: Mr. Tuomas Mustonen (MBA, M.Sc. Applied physcis) is Co-Founder and CEO of Paptic Ltd, a renewable materials start-up focusing on replacement of plastics in carrier bag and packaging applications. Prior to Paptic, Mr Mustonen has worked as Vice President, Sales at VTT Technical Research Centre of Finland, and has an industry background from the packaging industry in several roles ranging from business development to technical marketing. He is specialized in commercialization of new biobased material technologies with special focus on packaging applications. Mr. Mustonen has a MBA degree from the Aalto University and Master of Science degree in Applied Physics from the University of Jyväskylä. Bio: Alexey Vishtal works in Nestlé Research Centre where he focuses on development and implementation of innovative fibre-based packaging solutions. Alexey has a doctoral degree from Tampere University of Technology (Finland) in the field of papermaking and paper converting. He also industrial experience in pulp and paper and chemical industries. 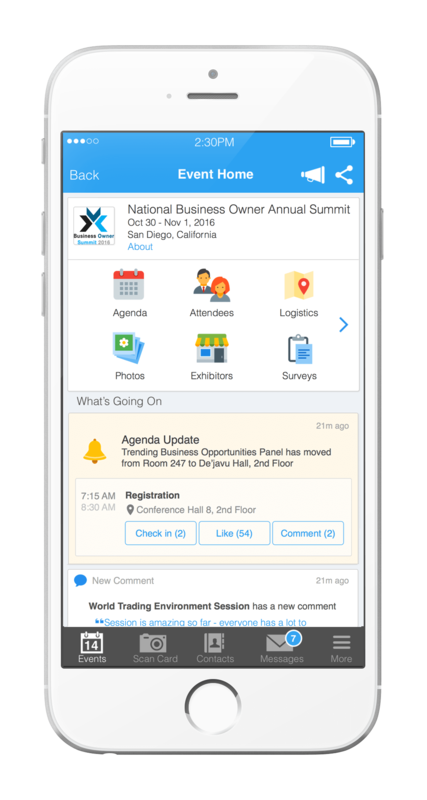 Product Manager, Crown Van Gelder B.V.
Attendees please download Whova event app, to access the information of all 21 speakers.